The Computer Peeps have their own, fully-developed Liberty consignment software conversion system for our customers converting from Liberty4 Consignment (or Liberty 2002, or even Liberty for Windows), to Peeps’ Consignment Software. This makes it possible for us to convert your consignor accounts, inventory, open/payable transactions, gift cards, and account notes. Your old/existing tags are fully compatible with Peeps’ Consignment Software too, so you don’t have to re-tag all of your inventory! Converting from Liberty ‘Cloud’? Get off of that old Remote Desktop service and move to Peeps’ Cloud Consignment Software! Why Would I Want To Switch from Liberty to Peeps? One thing you’ll never hear us say, is that Liberty has ‘database issues’ — it does not. The underlying database design is solid and we’ll never dog that. However, that alone does not make consignment software great and Liberty does still have data management issues. It’s Too Complicated — Even after running Liberty for years, the software still does not make their life any easier. And this is true — Liberty’s design follows a very “engineer-focused” approach, as opposed to being designed around storeowners. The software makes you work for it. For example — consignor payables from two years ago need to be closed out? You have to run this routine manually vs. being able to tell the software to simply not include money from greater than X date. And why does it even let 2 year old consignor balances go unnoticed!? Or, you have to be sure and set your item numbers and date filters before printing tags, otherwise, you’re printing 99,999 tags — something we get calls for on a daily basis. 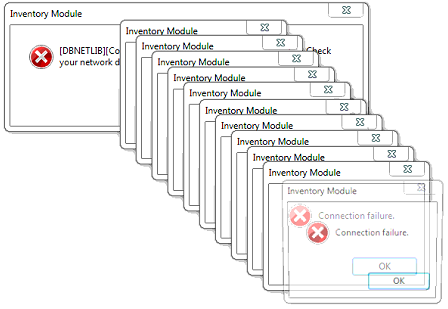 It Crashes — From the ‘cascading, never-ending’ connection failure errors, to the String or binary data would be truncated errors, to the Access Violations, Liberty does not do a good job of communicating to the user, what the issue is. 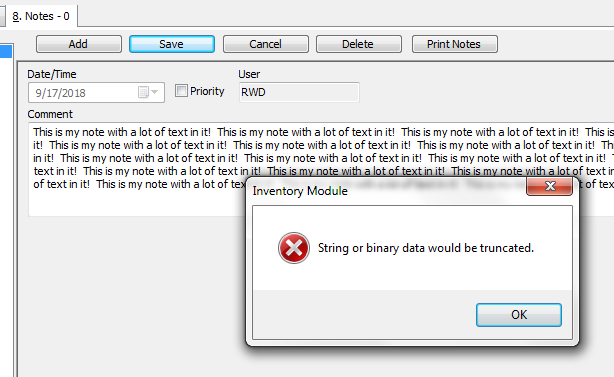 For example, if you type a note in an account and it’s too long, instead of it showing how many characters you have left or letting you know you’ve typed a note that’s too long, it just pops-up a *critical* error showing String or binary data would be truncated. 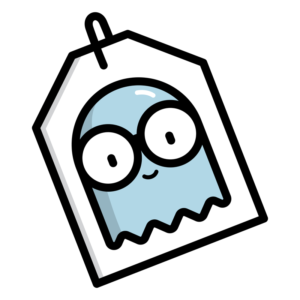 Or, you can set the ‘Tag Quantity’ on an item to 0 (by mistake) and when you go to print tags, nothing will print, no warning will appear…so you’re left thinking your tag printer isn’t working! They Don’t Like Resaleworld’s Support — It takes a long time to hear back from tech support and if/when they do hear back, either the tech was rude or simply didn’t know how to fix the issue or recommended they read the manual/watch their training videos. So the “we have so many techs” mantra, doesn’t really make a difference. Somehow, Peeps are able to respond quicker and provider a much-tighter support experience for Liberty users than their own techs can. Resaleworld’s support doesn’t cover everything either, so we’re constantly getting stores that come to us after being told to ‘Call a tech’ or even after Resaleworld supposedly ‘fixed’ the issue, only to find the issue is still happening. Updates Break Stuff — From a programmer’s perspective, I get it, I really do. That being said, when you have “so many techs” and then you see how many obvious issues are in each update, you have to wonder again — what does having “so many techs” mean when they didn’t even catch basic issues that anyone who uses the software for 5 minutes, would’ve noticed? Like the 4.6D update released in January of 2018 — all of the Wishlist reports have been broken since then — and it’s September 2018 as I’m typing this. So A) if you have a lot of techs, and B) if you’ve been in business for 20 years, you’d think update issues would be minimal and if any did slip by, they’d be fixed immediately. That just has not been the case, update after update. It Still Can’t Do Basic Tasks — You can’t email consignors, you can’t text/SMS consignors, etc. While it does have a lot of ‘advanced’ features, they’re not the ones that help consignment stores running in the real world. ‘The Cloud Is A Lie’ — We would never put our name on calling Windows Server with Remote Desktop exposed to the public Internet, ‘The Cloud’. We’re system administrators, not sales people. We know Resaleworld takes advantage of knowing that most consignment store owners, are simply going to fall asleep if you start talking about Windows Server with Remote Desktop. Most stores aren’t going to do the research as to why exposing Windows Server to the public Internet, specifically with Remote Desktop, is a bad idea. You could run Peeps over Remote Desktop, you could run ConsignPro over Remote Desktop — that’s not ‘The Cloud’. So Peeps took the burden on themselves, instead of putting the burden on consignment stores. Peeps’ Consignment Software syncs your consignor balances between locations and we’re adding inventory sync + gift card sync to that list. Why move your entire operation to ‘The Cloud’ when you just need key pieces synced between stores? What Data Do You Convert from Liberty to Peeps’ Consignment Software? We know Liberty inside and out. When you take so many support calls, you can’t help but learn all of the issues and see all the nooks and crannies. We know what stores expect to see when converting from one system to another and we take that really seriously. Consignor Accounts — Name, Address, Phone #, Email, preferred Split etc. Account Transactions — If the consignor has an open, unpaid transactions, we create each of these in Peeps. Available Inventory — The item’s barcode ID, Category, Attributes/Description (Brand/Size/Color), Price, Split, Item Fee, etc. 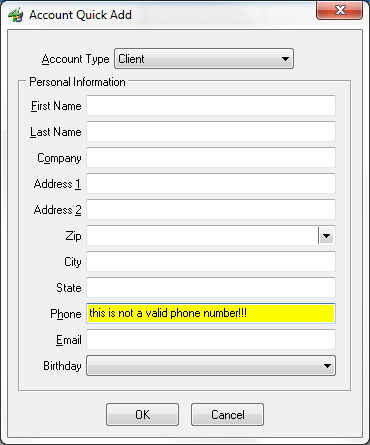 Account Notes — We convert each account note within each consignor account, over to Peeps. Gift Cards — We convert any open gift cards over to Peeps, with their remaining balance and their card #, so you can continue to utilize these in Peeps. You can scan your existing Liberty tags in to Peeps’ Consignment Software, so there’s no re-tagging!!! We take the conversion process very seriously. This isn’t something we jump to or blindly encourage — at the end of the day, we want what’s best for our customers and if they have a bad experience, it reflects on us. We have the advantage of having converted thousands of stores over the years, to/from every consignment software system on the market. We know about all the curves, pitfalls, and challenges and from this experience, we know how to get you through the entire process, as smoothly as possible. As we said on our ConsignPro Conversion page, consignment software vendors are eager to sell you their software, but they’re no so eager to guide you through every portion of the process and ensure you are 100% ready to convert, come time to do so. The stores that have tried this and have encountered issues, call The Computer Peeps to get things back on track. So it’s a process we take very seriously and we know every portion of the process, to help ensure you and your employees experience a smooth transition. 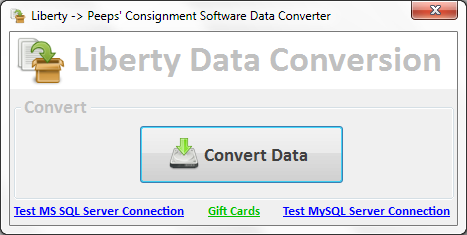 Last, we do at least one test conversion, so you can see your Liberty data in Peeps’ Consignment Software. Call us today @ (888) 374-5422 today to schedule a demo of Peeps’ Consignment Software and see why stores are converting from Liberty consignment software to Peeps Consignment Software!